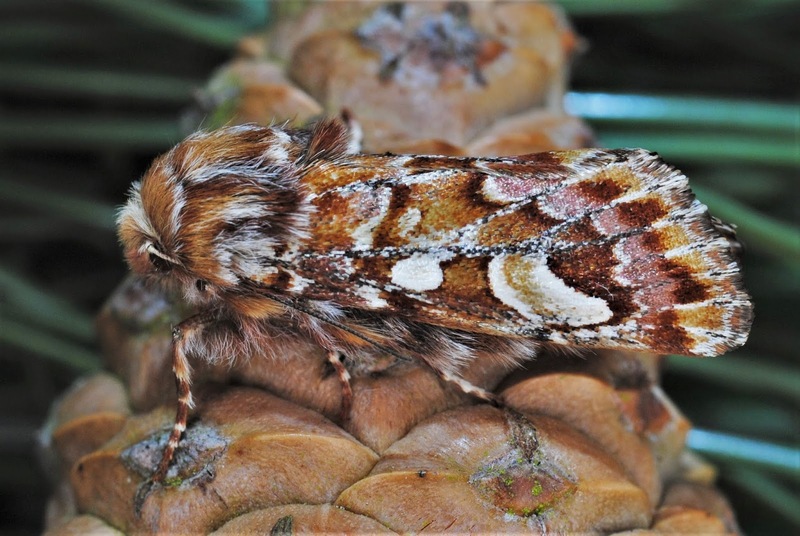 Waveney Valley Moths : You Beauty! With a second opportunity in just three days to get out into the field, we decided to try a new area near Dunwich. The area of woodland is made up of mainly coniferous trees with some Oak, Birch and Elm along the rides. This time of year is better in more deciduous woodland but we thought we'd give it a go anyway. To maximise our chances we set up with two 125w mercury vapour lights and two of our 20w Wemlites. The Wemlites were the first to bring in moths with a few Tortricodes alternella and a Pale Brindled Beauty early on. Once set up, we went off with our torches to check some tree trunks. Unlike Thursday night when we found dozens of Chestnuts, Spring Usher and Pale Brindled Beauties, this time we only located a couple of Chestnuts. 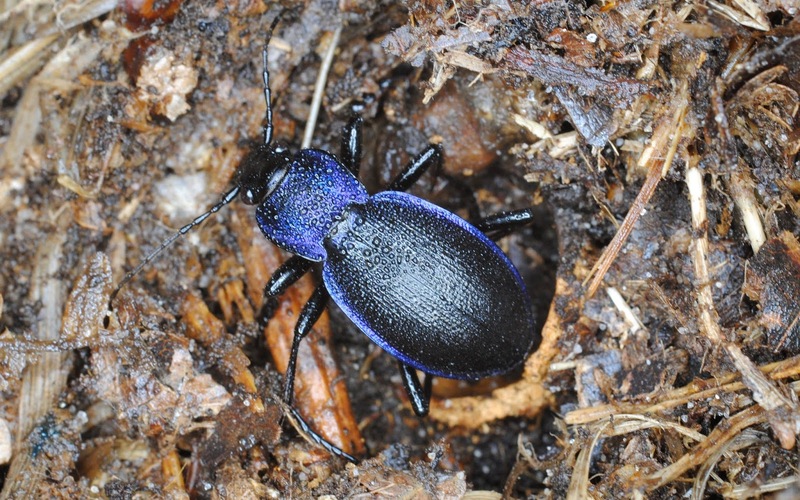 However, we did stumble across a superb Violet Ground-beetle. 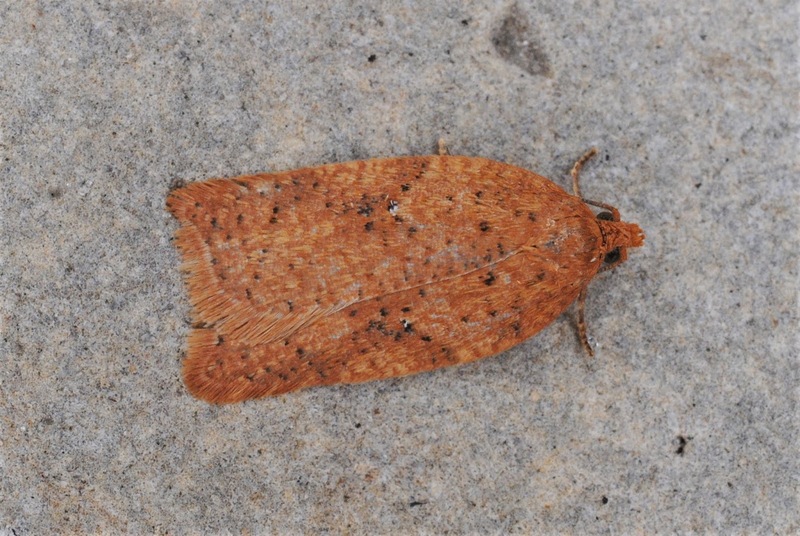 After a couple of hours and just Acleris ferrugana/notana added to the list, we started to pack up. 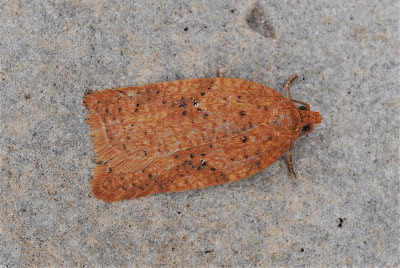 With only the MV on the tripod left, the final moth of the session plonked itself onto the white sheet... an immaculate Pine Beauty! A slow and steady session ended with the best moth of the year so far. 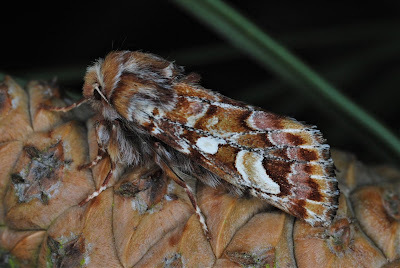 On the way home we stopped at a public toilet block by the side of the A12 to look for moths. With lights left on all night, there are often moths on the walls and around the doorways. 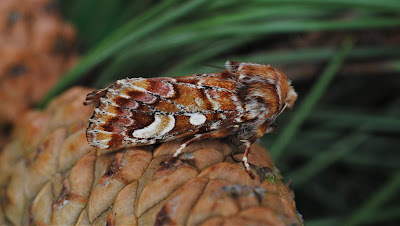 Although Peter had checked there earlier in the day and found nothing from the previous night, there were a couple of Pale Brindled Beauties and an Early Moth by 8pm. 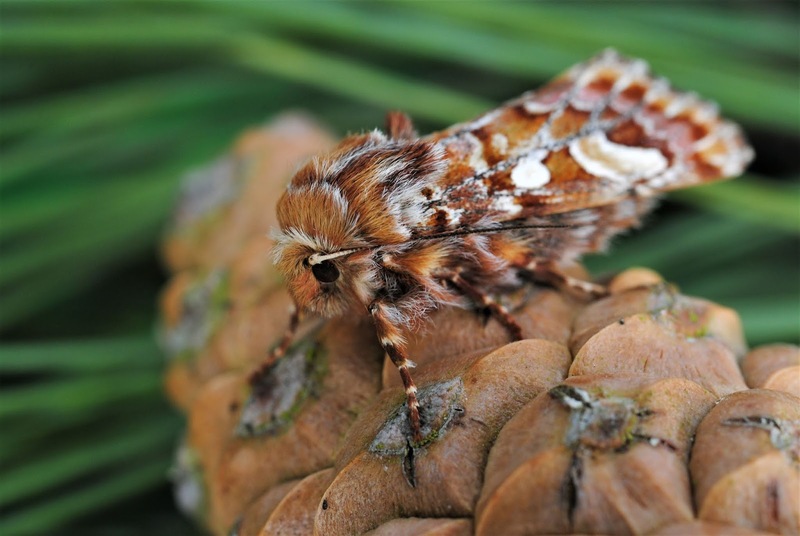 A visit the following morning produced two Spring Ushers and a Dotted Border. A hole lot of success!